Receive your offer of admission. You may only confirm your admission after you have received an offer from the Office of Admissions. 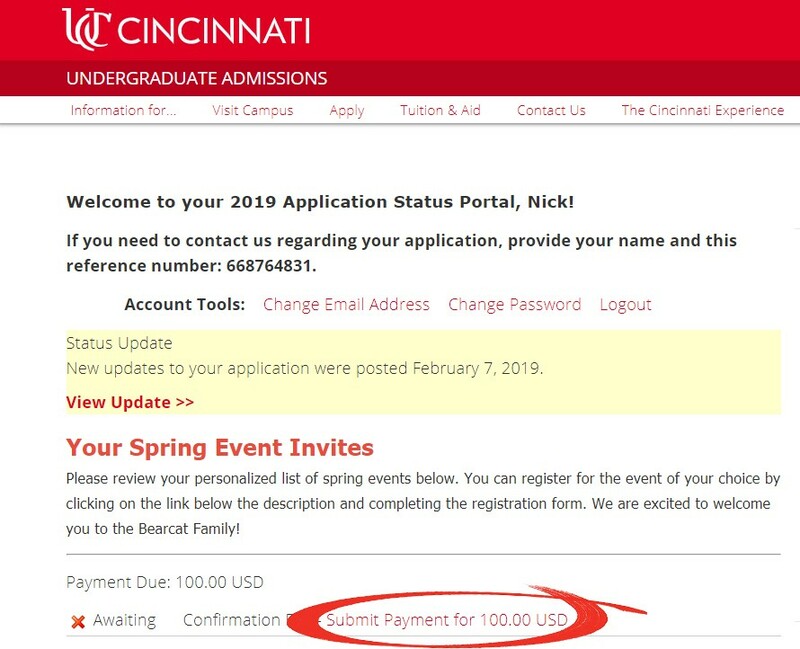 The steps below are for all undergraduate transfer and first-year students admitted to Cincinnati's Uptown (main) Campus, UC Blue Ash College (regional) Campus, and UC Clermont College (regional) Campus. If you do not know whether or not you have received an offer of admission, check your status. 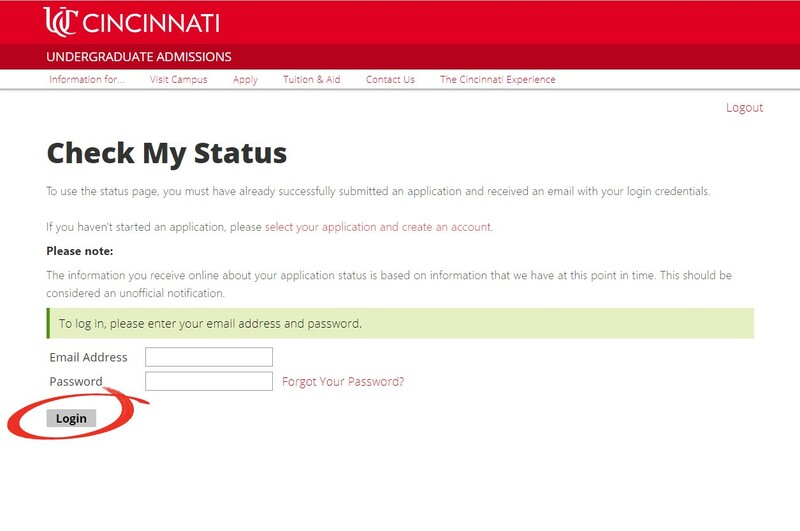 Log into your Applicant Status Portal to confirm your admission to the University of Cincinnati. 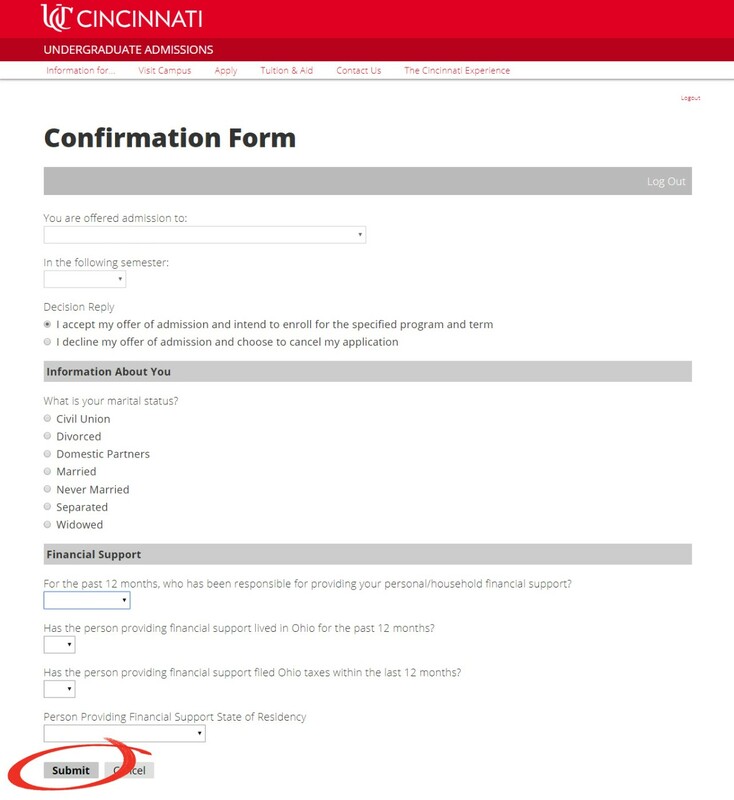 Step 2: View your decision letter and then select "Confirmation Form"
Before you can confirm your admission, you must view your decision letter by selecting "View Update" near the top of your status page. Once you have viewed the decision letter you can return to your status page and select the "Confirmation Form." Make the correct selections and submit. Once you complete and submit the confirmation form, you will be taken back to your status page. 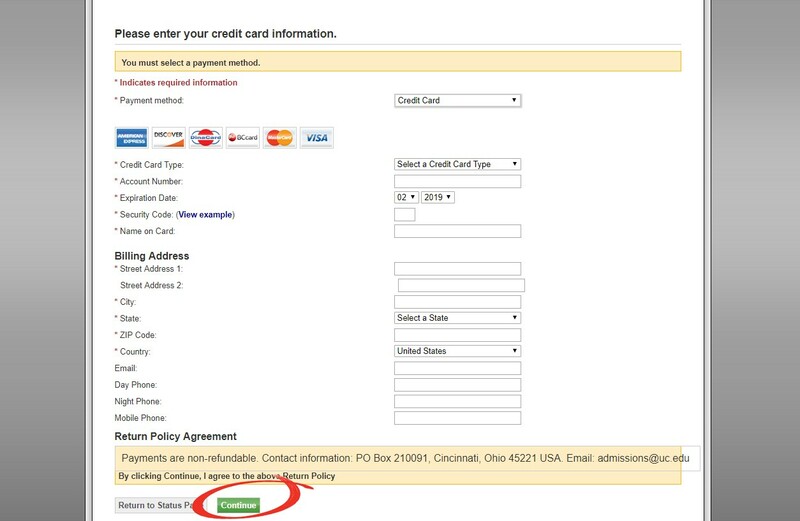 Select "Submit Payment" to complete the payment form. Select "Submit Payment" to proceed. Complete the payment form with credit card, debit card, or electronic check (ACH), click submit, and wait to see that your payment was successful. If you are eligible to receive a Pell Grant, you are not required to pay the confirmation fee. One eligibility is verified by the UC Financial Aid Office, that's when you won't see the request for payment. After completing the FAFSA, you will receive a Student Aid Report within 3 weeks of your submission. You will log into your account on the FAFSA website to view this report. This report will tell you if you are eligible for a Pell Grant based on your level of financial need. If you are eligible, you will not see the request for payment on your status page. Welcome to the Bearcat Community! After completing the Confirmation Form and submitting your confirmation fee, you will be taken back to your status page. 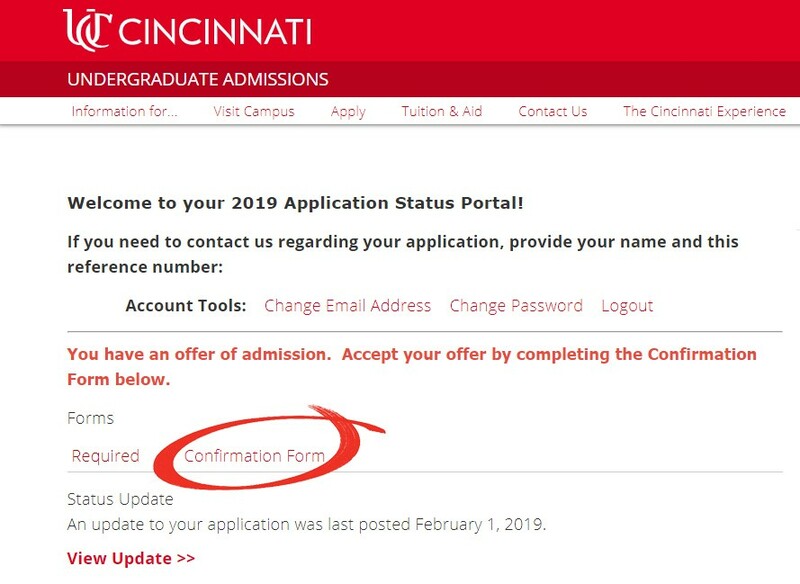 Be sure to routinely check your University of Cincinnati email for more important information as you prepare for your first year as a Bearcat!